Only in the world of high density trash bags would a little bantamweight 22 micron thick bag count as Extra Heavy. But that’s what’s so unique about High Density Polyethylene (call him HDPE for short.) 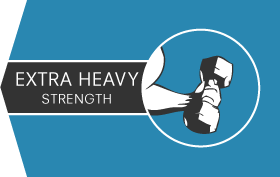 This fascinating resin is extremely tough for its size, and punches way above its weight. 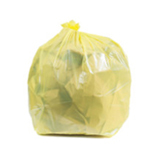 They may be light as a feather but these heavy duty high density garbage bags can carry loads of up to 100 lbs without a problem. 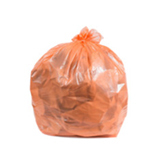 Just avoid disposing of sharps in these bags as they could cause punctures. 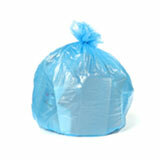 These waste can liners are popular in many areas, including bathrooms, kitchens, and offices. 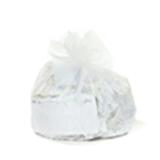 The clear trash bags are great for storage, especially heavier items like linens, because they let you see what’s inside with one glance. 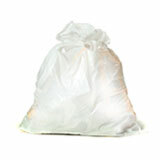 They’re also good recycling trash bags, making it easy to sort your recyclables. One of the best things about high density garbage can liners is how economical they are. This is possible because the manufacturing process uses a lot less plastic, and because they are so lightweight, they cost less to ship and store. 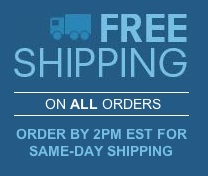 We pass those savings on to you, letting you trim your budget without cutting down on quality. 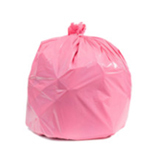 Purchasing wholesale trash bags for your home, business, or institution is always a smart move. 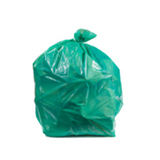 Whether you need small garbage bags for a desk side can, the perfect kitchen trash bags, or an enormous quantity of commercial garbage can liners for a busy shop, you’ll find the right bag right here. If you’re overwhelmed by choice, just get in touch. 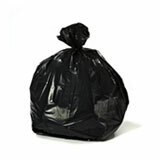 We love garbage bags (really!) and we love playing matchmaker. 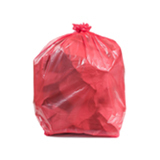 We’ll find the right bulk garbage bags for you, and then we’ll ship them out to you the same day. Once they arrive on your doorstep, we promise you’ll be 100% happy, or we’ll do everything in our power to make it right.